Minivan: Including hotel pick up direct from Ao Nang and Krabi Town to Phang Nga. Bus: Regular departures through out the day from Krabi Bus Station. Taxi: This is the only way to travel to Phang Nga direct from Krabi Airport. Expect to pay 2,300 THB per taxi booked online using the Search Box below. The easiest way to travel from Krabi to Phang Nga is to book a minivan transfer with Jolly Travel. They will pick you up from any hotel in Krabi Town or Ao Nang. 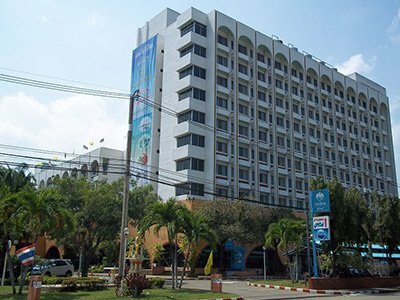 Be ready for your hotel pick up from 10.30 if you are staying in Ao Nang and from 11.00 if you are staying in Krabi Town. The minivan to Phang Nga departs from Krabi Town at 11.30. The cheapest way to travel from Krabi to Phang Nga is to take a bus from Krabi’s main bus station which is 4.9 km to the North of the Vogue Shopping Centre in Krabi where shared taxis from Ao Nang beach terminate. Tickets cost 80 THB per person one way. Minivan tickets are available to book online. For travel by bus you need to buy your tickets at Krabi Bus Station. Krabi Bus Station is 79.2 km by road from Phang Nga Bus Station. By minivan or bus expect the journey to take around 90 minutes. On a short journey like this neither minivans or bus services will stop on route for a comfort break. The arrival point for bus and minivan services to Phang Nga Town is the new bus station which is, rather inconveniently, located 1.7 km North of Phang Nga town’s main market. To reach Phang Nga Town from the bus station take a songthaew shared taxi along the main road (the Phet Kasem Road) expect to pay between 15 THB and 50 THB depending on your destination, and how honest the songthaew driver is. 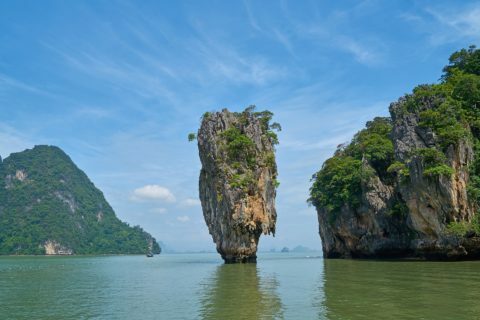 For travel to Phang Nga bay we suggest that you book a tour with one of the travel agents in Phang Nga town who will arrange transport to a pier and an excursion on a wooden long tail boat to see the sights in the bay. For onward travel to Khao Lak take one of the frequent bus services from Phang Nga bus station on the route Phuket, and alight before you get to Phuket at bus station in Khok Kloi. If you explain to the bus driver that you are going to Khao Lak when you board the driver know you want to stop at Khok Kloi. 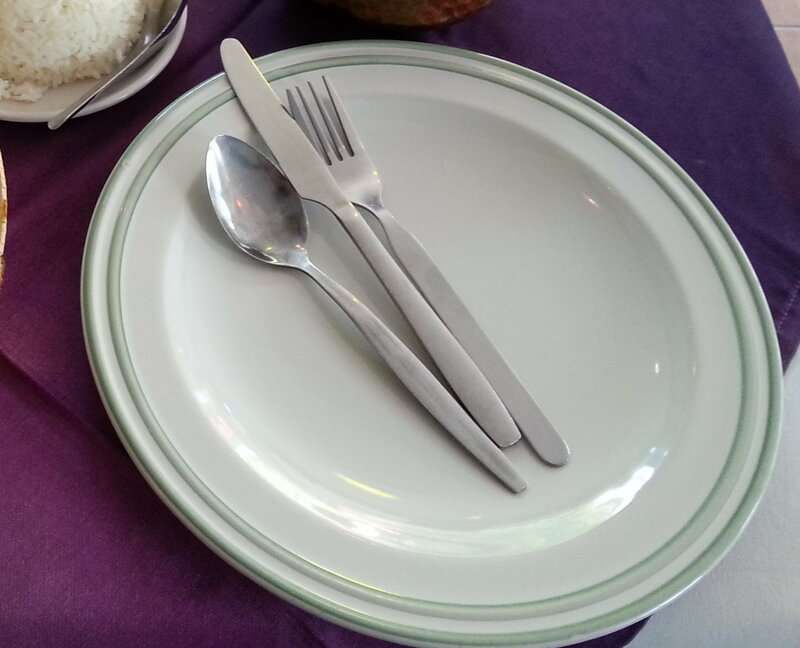 From Khok Kloi there are frequent bus services for the 60 km journey to Khao Lak Bus Station. Bus services to Phang Nga depart from Krabi Bus Terminal. 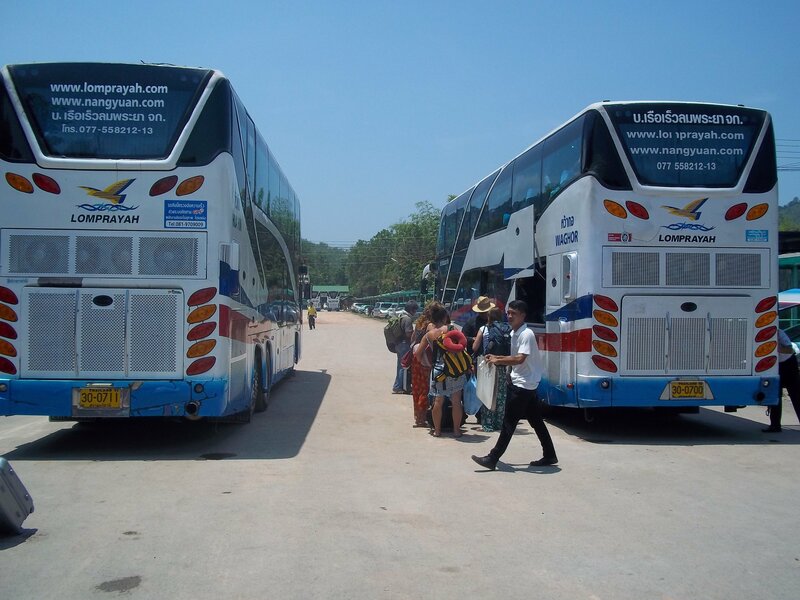 Both bus and minivan services from Krabi terminate at Phang Nga Bus Station.